The property and construction industry needs to wake up and embrace change if it is to move with the times and attract the right talent, a recent Women in Property South West event was told. Many firms in the sector accepted that change is needed but were unsure what steps to take to bring it about, the event heard. As a result, Women in Property South West is to gather examples of positive action by firms in the sector to share with other companies and organisations to follow their lead. 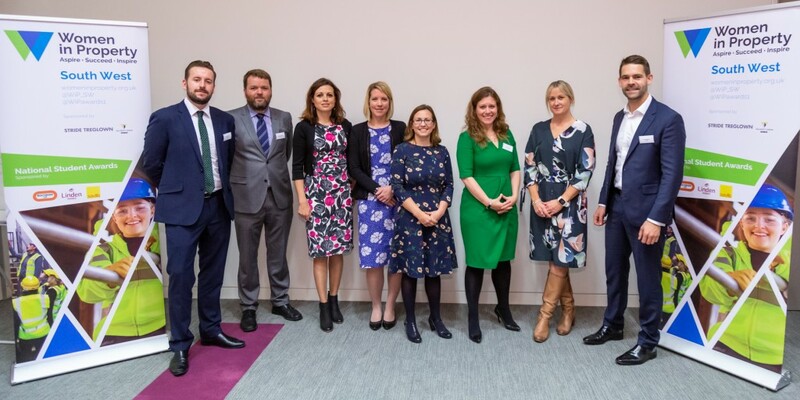 The event, hosted in the Bristol head office of law firm Burges Salmon, brought together more than 50 businesses to discuss what needs to be done to improve the construction workforce. A follow-on from the acclaimed 2017 survey Building: A Better Workforce undertaken by Women in Property and Bristol gender pay gap specialists Gapsquare, it focused on three key themes: attracting talent, retaining talent and inspiring talent. 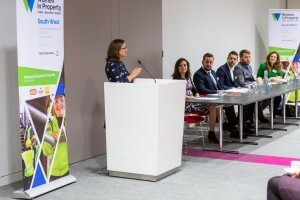 By concentrating on these, a picture of how to ensure all aspects of the workforce are achieving their potential and improving quality of life for all could be built up, the event was told. 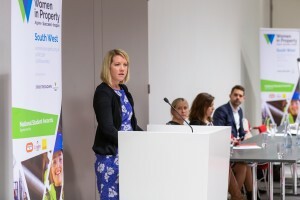 Former Women in Property South West chair Rachel Bell, pictured above, a divisional director at Bristol-headquartered architects Stride Treglown, said: “It is fantastic to see so many companies engage with us around the issues of diversity and inclusion following on from the survey last year. Women in Property South West social media coordinator Rachael Sherratt, pictured below, an associate in the Bristol office of property consultancy JLL, said ideas from the forum event and the wider industry would be gathered together to form a resource guide for employees and employers to be hosted on the national Women in Property website. Positive action could be encouraged by sharing what other companies and organisations are doing, she said. “The thinking is that if there is something that has worked in one business, the likelihood is it will also work elsewhere, and we want to make it easy for businesses to make change happen by sharing this knowledge,” she said. Individuals from Arcadis, CBRE, Gapsquare, PfP Capital, UWE & Wilmott Dixon highlight the existing work in their businesses and what they saw as drivers for change for the three themes. A recent survey from Business West found 32.8% of the respondents felt poor perception of the industry was a barrier to hiring new talent. If construction is to grow with technological advances, it needs to be recruiting the best students of the next generation to fit the wide variety of roles now on offer. All businesses need to find time to engage with schools – and the forum found many businesses were already doing so albeit in an ad hoc manner and there were calls for unity and cohesion in the works done in this arena. Patrick O’Flynn of UWE explained how it had created ‘Student Ambassadors’ to give talks in schools, because they have found the students can make more of a connection than senior staff. Patrick encouraged businesses to consider asking their graduate employees to do the same. It is well known that mid-career, many women leave the construction and property industries owing to an inability to make long hours work with raising a young family. Companies of all sizes are encouraging the use of shared parental leave to allow women to return to work and share childcare with their partners. But some forum attendees found this was not being taken up very often, and feedback was that it is still perceived as a ‘new’ idea which is not necessarily fully supported by all internal managers. As George Berry of Arcadis explained: “The key here is for executives to ensure that they share ideas and policies from the top down, and ensure all senior staff have clarity on company policies – we need to apply the same to all teams for a unified approach.” The issues surrounding mental health were also discussed, and with a workforce that regularly works long hours and to stressful deadlines, it is no surprise that businesses which have invested in good quality workspaces and wellbeing support for their employees have the highest retention of staff.